Throughout history wigs have played a significant role in fashion. Depending on the era, wigs frequently were worn to demonstrate wealth or were associated with particular professions. Early Egyptian wigs were made with plant fibers, animal hair, or human hair cut from the heads of slaves. The Greeks and Romans also wore wigs for religious purposes, to show nobility and theatrical work. Today wigs are one of Hollywood's must have beauty accessories. Many actresses and celebrities have a wide range of custom shaped and styled wigs as part of their wardrobe; just look at Cher, Dolly Parton, Beyonce’, Lady Gaga and most notably Raquel Welch, the actress best known for her line of trendy high fashion wigs. 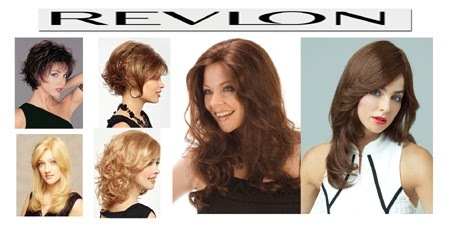 Unparalleled in comfort and natural appearance, the new Revlon Wig Collection provides a wide selection of styles while maintaining high quality standards. And Revlon's collection of wigs and hairpieces is now better than ever! They’ve improved on and renamed the most popular styles you know and love, plus added new trendy styles in both human and synthetic to round out the line. When considering purchasing a wig for the first time there are four things to consider: Style, Cap Size, Composition and Color. To narrow your search start with the length, texture and hairstyle. You may want to stick with a color or style you're familiar with or try a totally new color and style and have a hair stylist cut and shape it to fit your face shape and features. 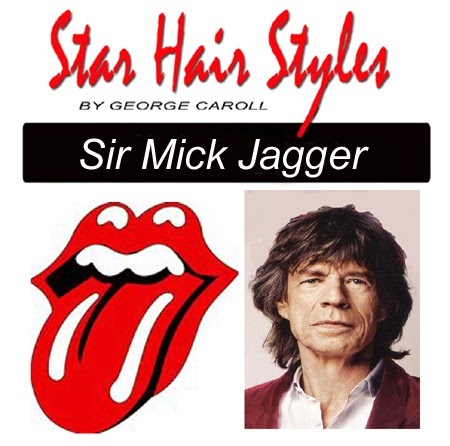 As a Hollywood hair stylist I've always recommended having a custom shaped and styled wig as part of your wardrobe. It's the best way to instantly change your hair style or hair color for any occasion. If you've always wanted to wear a short trendy hair style but were reluctant to cut your long hair, buying a short style is the perfect option. For others dealing with hair loss due to medical conditions wearing a wig can be a very emotional decision. Regardless of your reasons for investing in a wig making sure you’re wearing it properly can make all the difference. A visit to your hair stylist for a custom shaping and tips for care are well worth the time and investment. Drawing inspiration from the hair styles of our favorite stars and celebrities has become a national pass time. 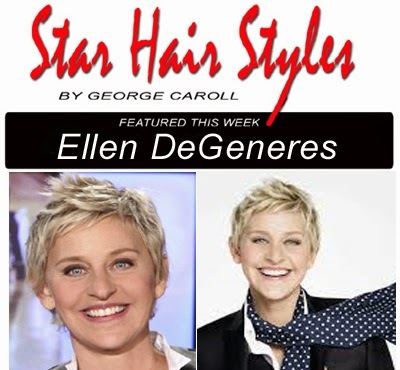 One star hair style is America ’s quintessential entertainer Ellen DeGeneres. Perhaps more then any Hollywood actress, Ellen has always made a point of wearing a versatile hair style for her time challenged life style. Ellen's trademark short easy breezy tousled style and buttery blonde hair color gives this Cover Girl a youthful stylish look in a grown up way. TO GET THE LOOK: Are you looking for a shapely new hair style to complement your active "time challenged" life? If that's the case take a hair styling lesson from Ellen DeGeneres and watch heads turn when you show up looking ooh-so stylish and years younger. To get the look, let’s take it one step at a time; starting with a style cut and shaping. LET’S SHAPE IT: To get the look, start with a contoured silhouette with brow brushing or picky bangs and feminine fringy collar length neckline. Say so long to bad hair days, this "wind blown" do' looks amazing from all points of view and almost styles itself. With a few adjustments (trims) as it grows you can find the ideal length and shape for your personal style. LET’S STYLE IT: For style support start with a dab of mousse or shaping gel or nothing at all. Comb either through damp hair to dry au natural for a "get-dressed-in-a-dash" sort of way. Or give it a quick tousle with a blow dryer for a fluffy do'. After, add textured effects and turn up the shine with a touchable finishing spray and your almost there. LET’S ADD MAKEUP: What’s a star hair style without makeup and accessories? Ellen knows first-hand from her daily sessions in the makeup chair that many foundations can actually make you look overly made up and older looking. To create a youthful natural glow and flawless complexion Ellen starts Cover Girl ageless foundation. Followed with everything to make a Cover Girl glow (eyeliner, eye shadow, lash and brow mascara, pink lip gloss) and you’ve got the look. 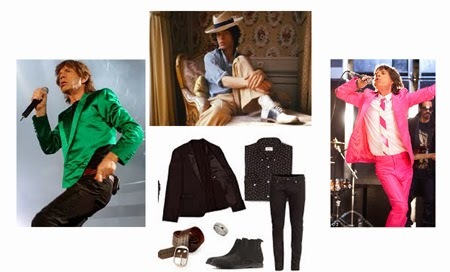 Top it off with a chic silk scarf, T-shirt, black blazer and jeans with high top tennis shoe’s and you've got the Cover Girl Look. NOW, LET’S COLOR IT: If your hair has lost its luster and is beginning to gray around the edges give it a natural sun kissed look with a Buttery blonde tint for dimension and body. After, a clear glaze seals-in the color and turn up the shine. To keep it up, the new growth is tinted every six weeks. This extra step may cost a few dollars but it’s a small price to pay for a youthful look and all the attention you’ll get. Ellen's shapely style looks amazing from all points of view and almost styles itself. Just comb and go or a quick blow dry and your ready for any occasion. The buttery blonde color has put the gray hair stylishly under cover and looks so natural it will have people wondering “Does she or doesn’t she”? The Cover Girl glow and ageless complexion has turned back the clock and pushed the style bar to the max. This perky wind blown’ do’ is sure to get rave reviews when you show up looking ooh-so chic and years younger in Ellen DeGeneres "easy breezy" Cover Girl style.